Ranked among the world’s largest petrochemicals manufacturers, SABIC is a public company based in Riyadh, Saudi Arabia. 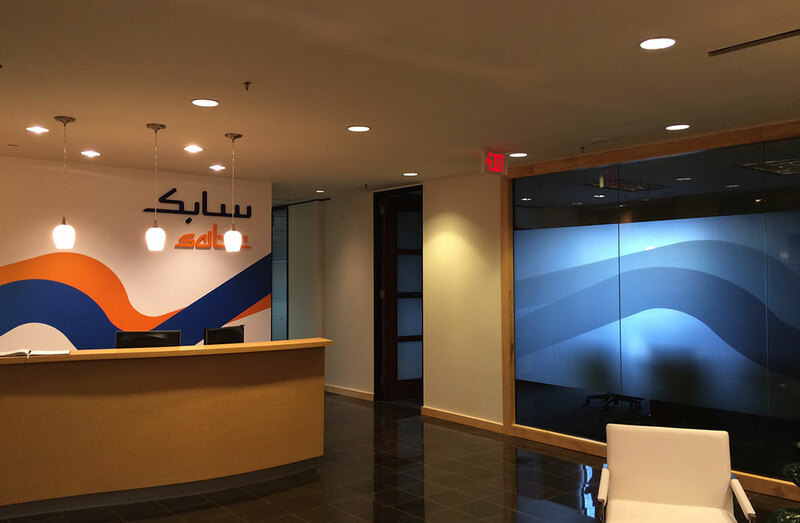 As SABIC’s global presence continues to grow rapidly, they approached 2020 Exhibits to help design and brand their Houston headquarters, making it lighter, brighter and more functional. 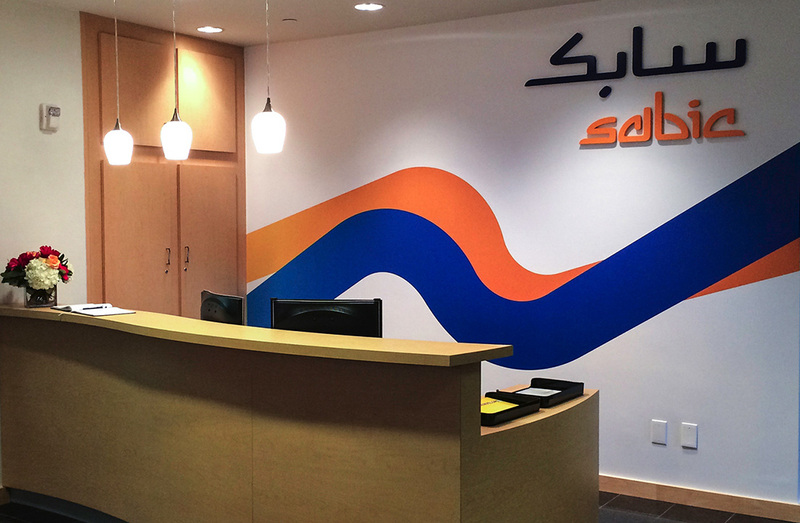 2020 Exhibits resulting design enhances the SABIC brand, employee engagement and overall collegiality. 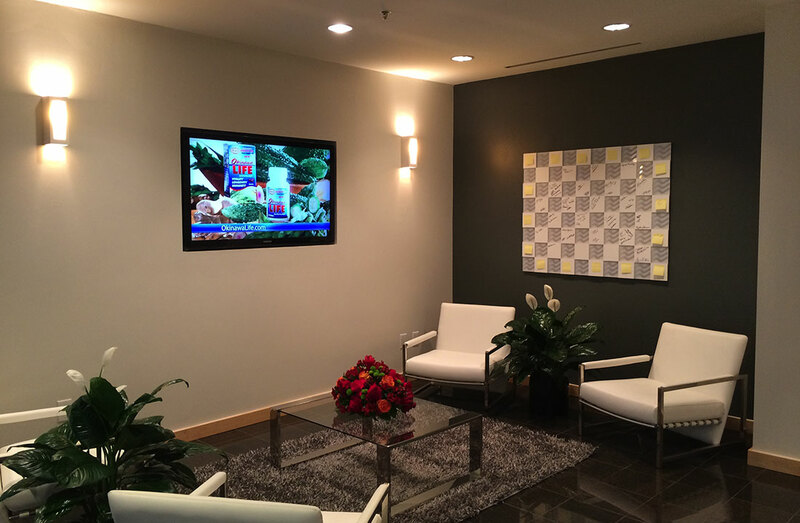 Working with the firm’s reception to outline key needs and focus, 2020 Exhibits custom-designed and built a reception counter, private desk area and cabinetry. The brand’s solid branding was reinforced throughout the space, serving as a distinctive welcome to clients and guests. Visitors are greeted by rich, sophisticated materials. 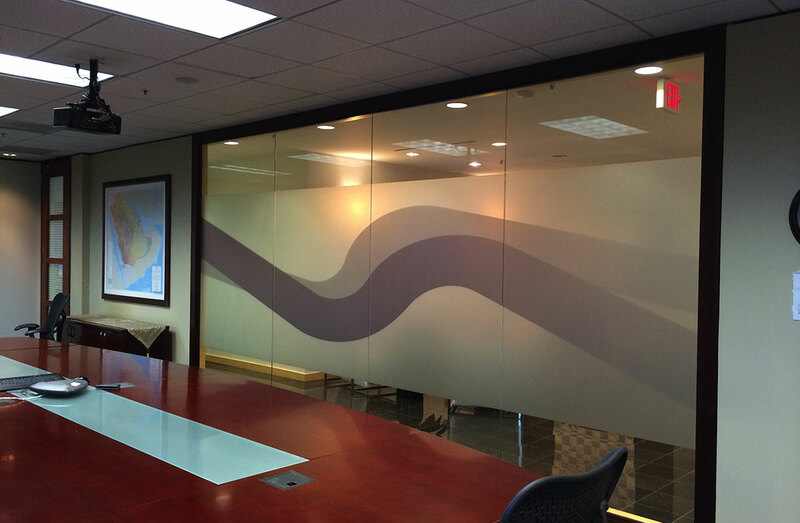 The primary conference center is now more private, with custom frosted graphics allowing for a lighter, brighter space. 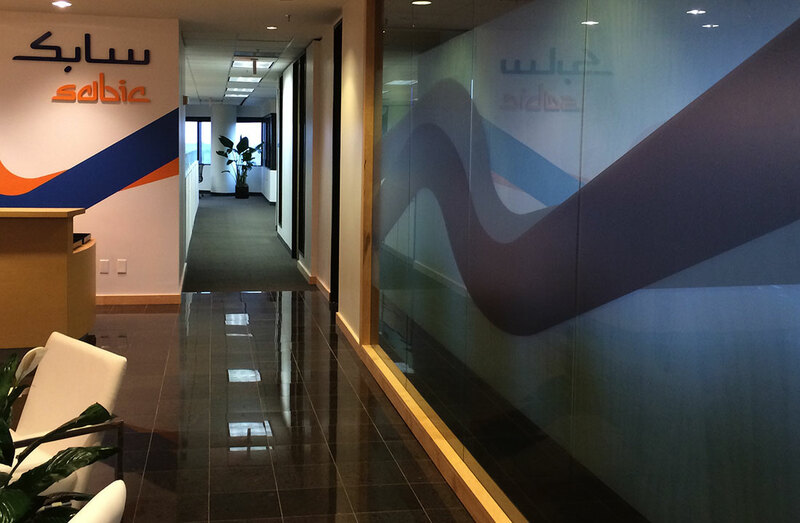 A conference room video wall features the Sabic story. 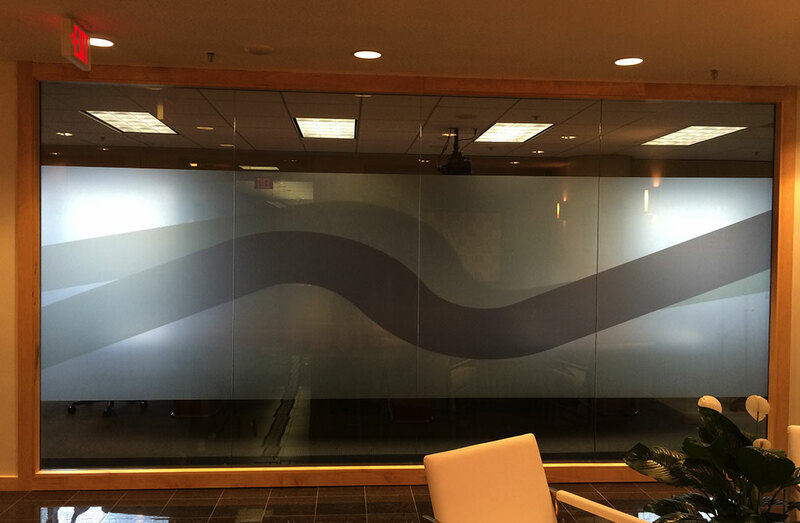 And, as an added personal touch, graphics which include the individual signatures of each employee are custom printed and framed in the reception area.